It is a given fact that 94-95 lips will look at fit better on a 90-91 accords, in the same fashion that 96-97 lips for the 92-93 accords.. The 5th Gen Lips are too long on the sides so those need to be cut so it will be flush wit the fender. Use a dremel and thug it out...dont forget to re-attatch the end cap so it doesnt look gay from behind. As for making it contour our bumpers, that takes hell of a lot of bending, dont be afraid to break it or else your not gonna get anywhere with it..
Tools: Sockets, wrenches, philips screw driver, dremel with cutting bit, Haynes Manual, other things that i cant think of. Step 2: Take bumper and lip to a nice place to work on with lighting and power outlets. I took mine into the basement. Step 3: Cut off ALL tabs off the lip. Step 4: Mount Lip on bumper by holding lip in place and using something to mark where to drill holes. While doing this, mark the edges so u can cut the excess length. Use a dremel or hax saw to cut it or anything else. Step 5: After marking holes, take a drill with the proper size drill bit and drill the holes. Step 6: Put lip back on the bumper and put the bolts, washers and nuts in place. Step 7: Tighten all the bolts and make sure they're all in place. 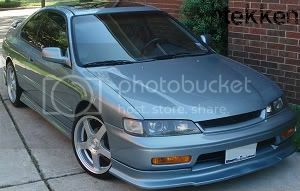 Anyone have a pic of a 94-95 oem lip on a cb accord ? anyone happen to have a pic of a cb accord with an oem CD front lip ? already broke my fu*kin front lip, 2 weeks into it..
FOR REAL! 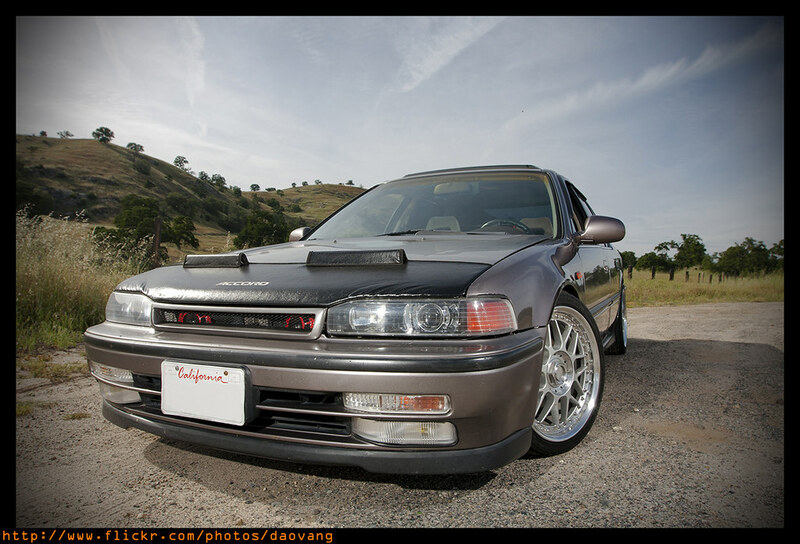 who has ordered a front lip for there Accord in the last few months?